1. Set up mammogram. 2. Set up doctor appointment to remove child’s warts. 3. Figure out Obama Care to see if we can get some savings. 4. Pay my husband’s health insurance. 5. Pick up cats from kennel 6. groceries, cars, home etc. To long terms goals: 1. Get a day job. 2. Build blog. 3. Sell TV script. 4. Get book published. Universe? Are you listening? I could use a little luck to go with my effort. How do you balance your day-to-day tasks with your long-term goals? Do you use some kind of calendar? Do you have an app that helps? All advice is welcome, because I need to get organized for 2014. 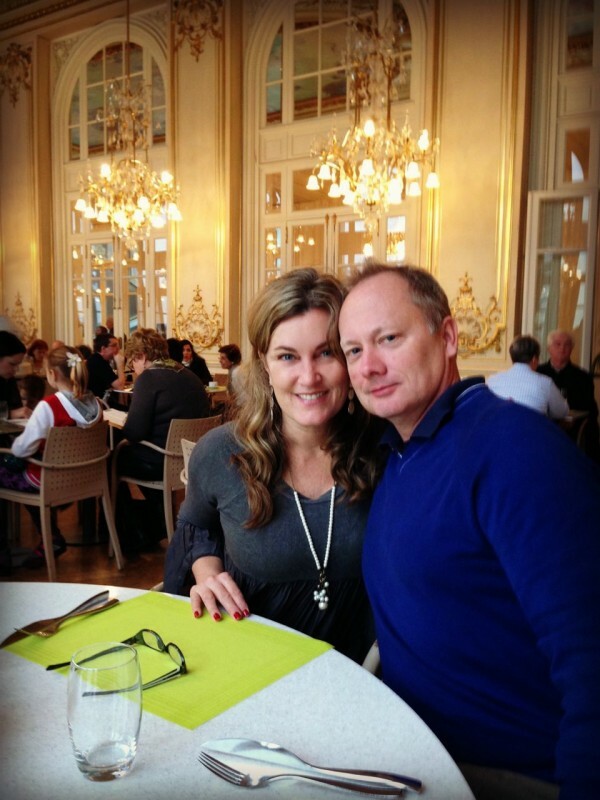 Henry and I in the Musée d’Orsay’s Belle Epoque restaurant no doubt eating our 20th kilo of bread. 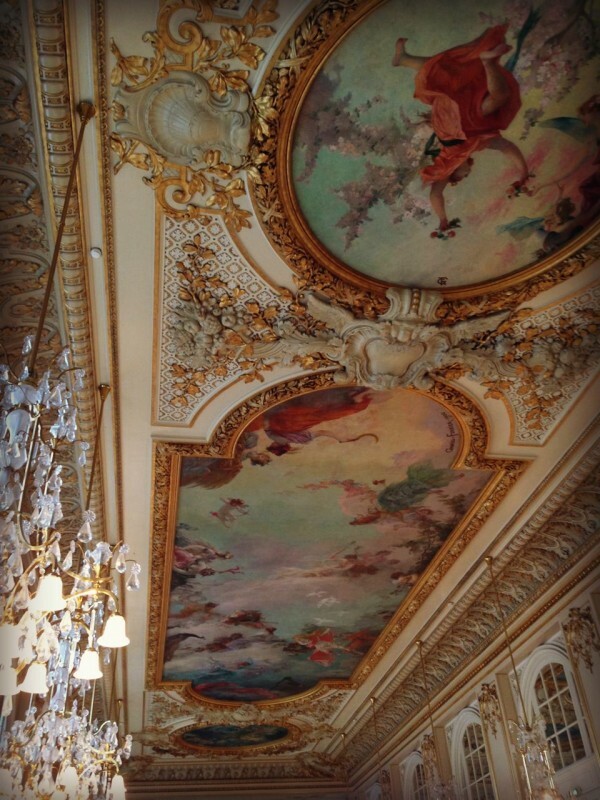 The gorgeous ceiling at the Belle Epoque restaurant. 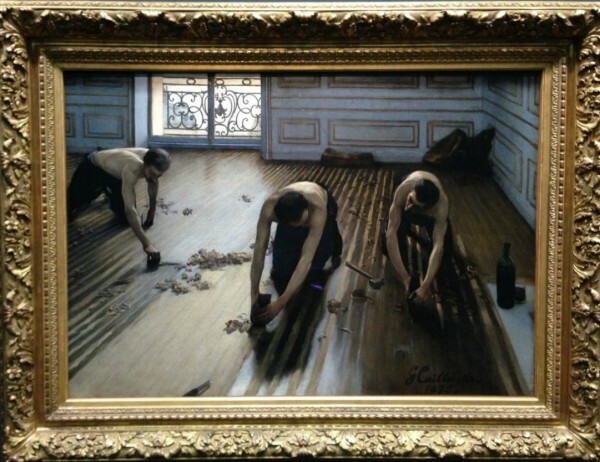 Gustave Caibellote’s Les Raboteurs de Parquet at the Musée d’Orsay. 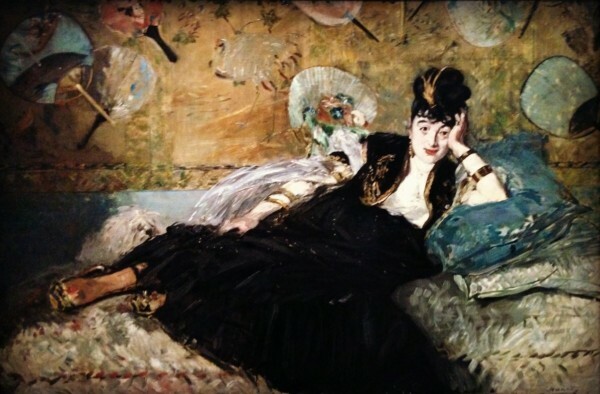 Edoard Manet’s Woman With Fans. at the Musée d’Orsay. 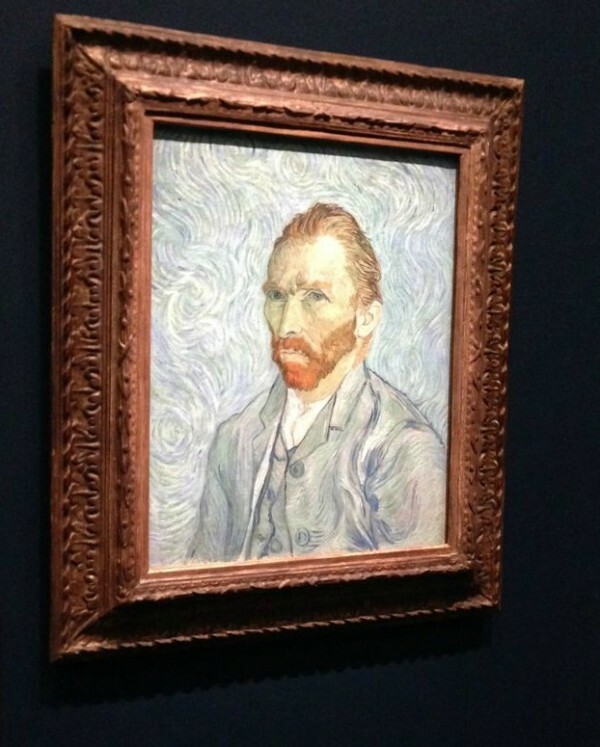 Van Gogh Self Portrait at the Musée d’Orsay. 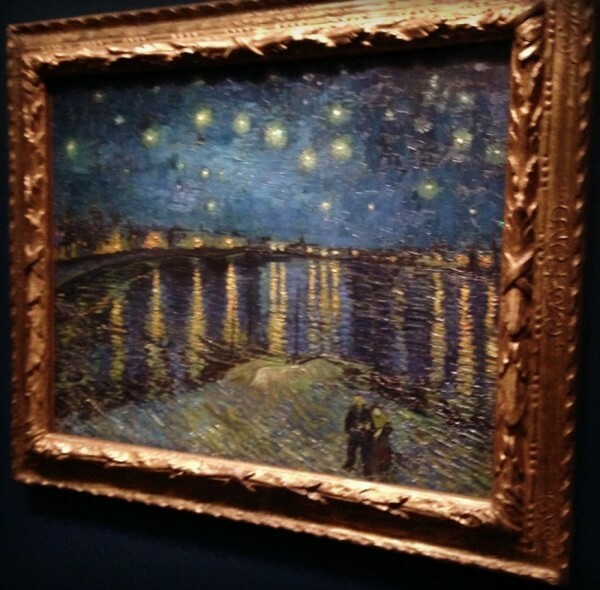 Van Gogh Starry Night Over The Rhone at The Musee d’Osay. If you like what you read join our mailing list HERE so you won’t miss a thing! If you want to start at the beginning of our trip to Paris click Here! Beautiful pictures Shannon! 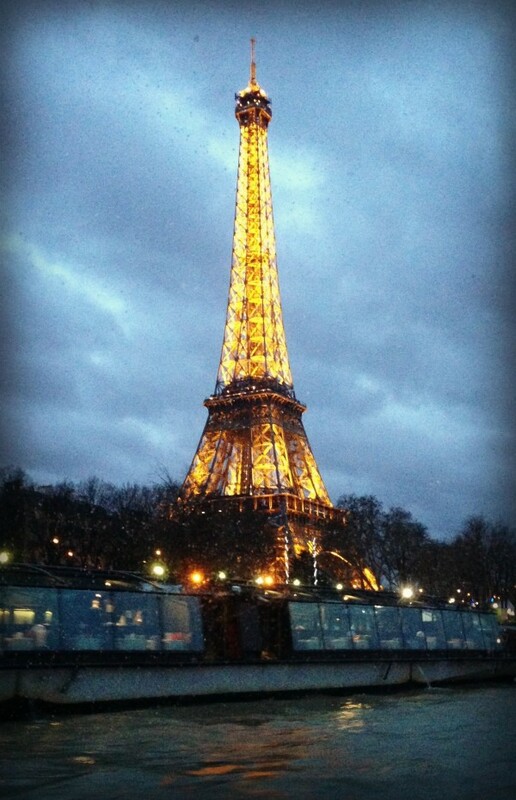 Paris is on the bucket list for sure! I’d been aching to get back for the last 20 years! It was everything I’d hope it would be and more. Loved the Musee d’Orsay when I was in Paris, probably my favourite gallery. As for balancing the day-to-day with the long term goals, I’m not the person to ask. It’s only Jan 11th and I’m already at meltdown!! Sorry! But I wish you all the best as we share many of the same tasks and goals. And if you find a solution, please share! Thanks! (even one raboteur would be awesome, if you could manage it)! Duct tape?? I have to look into this. Is it painful? What do you do? (or when it gets grubby). It doesn’t hurt at all, and works like magic. (we had tried everything, including very painful freezing, and they always came back before). We’re going in May, thanks to frequent flier miles! Love your pictures and ideas for the trip. If you don’t mind, where did you stay? Yes, we rented a wonderful apartment on in the Latin Quarter on the Left Bank right near Rue Moufftard. It was such a fantastic location.LMK if you want the contact info of the owner. Wonderful pictures! You might want to check out Simpleology. It sounds weird but is a free online productivity program about making to progress to goals simple. What kind of day job? Have you looked into teaching online classes since you have a Master’s degree? I’d say there are plenty of colleges/universities that would snap you up. Plus, you can work from anywhere with Internet access. Thanks for the input Serena. I kind of hope I get to go somewhere there are people. Otherwise it’s too easy to spend my days in my pajamas.